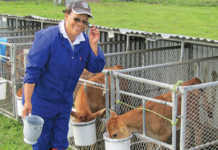 Breeding cows form the mainstay of the beef industry, according to animal scientist, Danie Bosman. 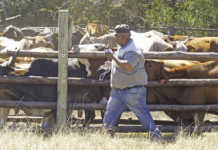 Speaking at a Drakensberger information day in Potchefstroom, he said that the ideal breeding cow successfully raises a calf every year. In the first article of this two-part series, he addresses the selection criteria for a successful beef breeding cow. 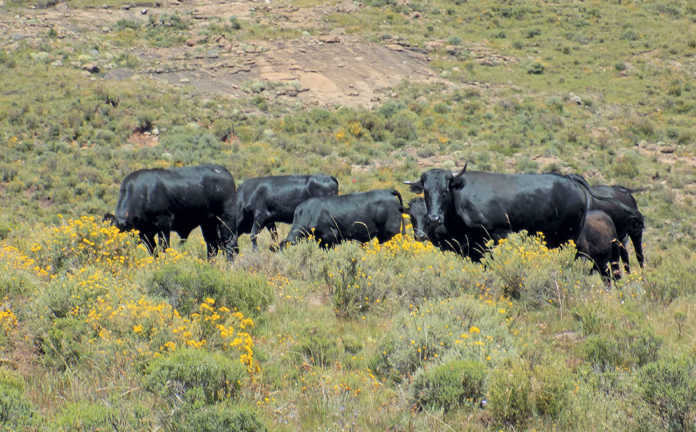 Successful breeding cows have the ability to effectively convert grazing into beef. Approximately 70% of South Africa’s land area consists of grazing that can be utilised only by ruminants (sheep, game and cattle). These animals convert lower grade roughage into tasty, nutritional products for human consumption. The ideal breeding cow can adapt to these grazing areas and reproduce effectively to make a genetic and economic impact on the herd. Objectively measuring and quantifying the performance of each breeding cow is crucially important in both stud and commercial herds to ensure long-term sustainability. The ability of a breeding cow to produce a healthy, live calf each year surpasses the value of all other selection objectives. In other words, it is worth more than growth potential, adaptability or carcass merit. Reproduction is five times more important economically than other production traits, and 10 times more than carcass quality! 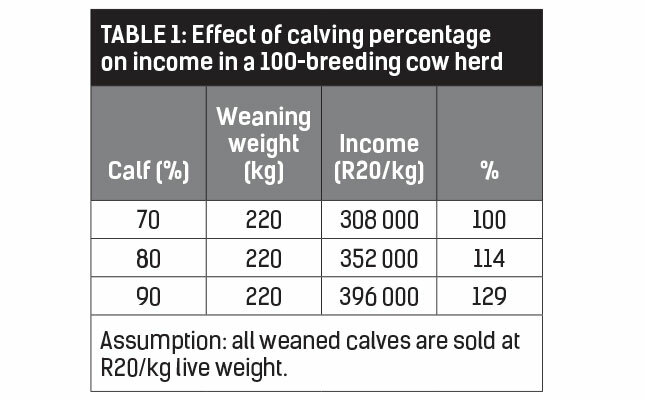 The effect of calving percentages on income is shown in Table 1. An increase in the calving percentage from 70% to 90% can increase income from weaners by 29%. Calving percentages are key to the success of any beef cattle concern, and this applies to any livestock operation. In the US, a sheep flock was split into two groups as part of a research project. In the one, selection for fertility was undertaken rigorously. In the other, animals with lower fertility were retained. After only three generations, the less productive herd yielded no lambs at all. Dry cows must be removed from a herd as soon as the calving percentage drops below 75%, as it will have a negative impact on profit, and genetic improvement will be slowed down. No herd can survive with a constantly low calving percentage or low reproduction tempo. 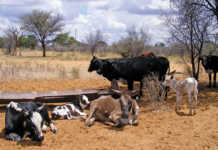 A beef cattle cow that calves annually has a problem. She is in gestation for 280 to 290 days, which leaves 75 to 85 days to conceive again to ensure that calving takes place at the same time during the next breeding season. This implies that the breeding season should not exceed 75 days. With a breeding season of 90 days or longer, the following year’s breeding season will start before all the cows have calved, which will shorten their recovery time. The gestational period of cows varies between 270 and 295 days. It is beneficial to select cows with a shorter gestational period, even if it is only three to six days shorter. This will result in lower birthweights, which mitigates the detrimental effect of longer gestations on the uterus. Animals with shorter gestations will, therefore, conceive again more easily. Cows that calve early in the calving season usually have a shorter gestation period. Records should be kept of cows’ annual calving dates. For example, if an individual cow’s calving date moves every year from 1 October to 21 October, or even 15 November, it is a clear indication of a gestation period longer than the 284-day average. Heifers that calve for the first time, as well as first-calf cows, have higher nutritional needs because they have to feed a calf while still growing. Without sufficient nutrition, the heifers in this group could easily go into anoestrus, which means they will not come into heat. It is important to consider the body profile of a cow when evaluating her for reproductive suitability. The body of a cow that calves regularly has a wedge shape, that is, narrow at the front and wider in the hindquarters. Such a cow does not carry much meat and fat on the forequarters, and her neck is slender and her head feminine. Her brisket is narrow, without fat, and her coat becomes smooth rapidly in summer. A fertile heifer or cow also has well-developed genitalia, indicating a healthy hormone system. In contrast, the front part of an infertile female animal’s body is wider and has a fuller, fleshier neck and forequarters. She has a coarser coat that never quite turns shiny and smooth. Her udder tends to be smaller and even fleshy, and the genitalia are smaller. Less fertile animals also tend to carry more fat. The rump consists of a triangle formed by the hip bone (sacral tuber), ischium (tuber ischii) and the thurls (the hip joint connecting the femur to the pelvis). A mildly sloping rump is acceptable. However, it is important that the ischium is placed lower than the hip bone and thurls. This will ensure an increased pelvic opening for easy calving. The hip bones should also not be too prominent or wide, as this could easily lead to injuries in the crush pen. The primary function of a breeding cow is to conceive every year and produce a strong weaner calf. Because she is required to drop and raise weaner calves to between seven and eight months of age, her primary requirement is nutrition. The formulas in Figure 1 are used to determine the biological efficiency of the cow and the herd in terms of average daily gain (ADG). A successful cow should wean a calf that is at least 40% of her body weight. The national average for all breeds is 42,9%, adapted from a weaning weight of 213kg, and a cow weight at weaning age of 496kg. At least 55% of the forage/grazing consumed by a cow is used for maintenance. This is not proportional to body weight; a cow that weighs 800kg will therefore not need twice the forage required by a 400kg cow. Forage required for maintenance is proportional to metabolic weight, adapted by raising weight to the power of 0,75. 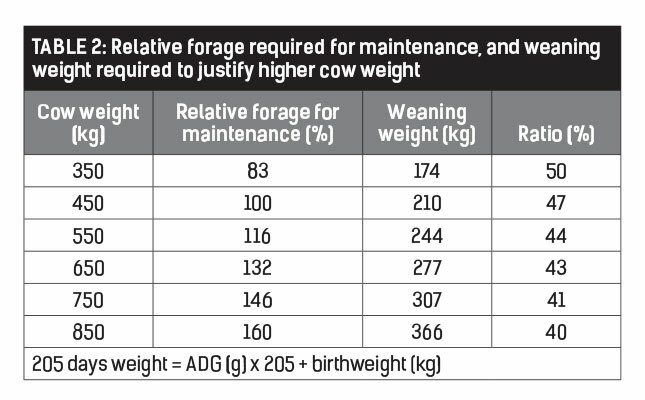 Various cow weights and the weaning weight required to justify a higher cow weight are shown in Table 2. Should cow weight increase from 450kg to 550kg (22%), nutritional input cost will increase by only 11,2%, because metabolic (maintenance) weight is taken into consideration. The weaner calf output is therefore 244kg and not 256kg, as would have been calculated otherwise. Cows larger than 550kg must wean a far heavier calf to remain profitable in terms of output. This is possible with good grazing, but in dry, warmer climates with sub-optimal grazing, cows weighing less than 500kg are more efficient. Selection aimed at reproduction and cow size will add value to any beef farming concern. Phone Danie Bosman on 083 637 0189.